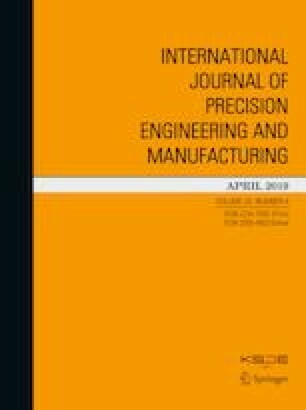 This study addresses the problem in accuracies of robot positioning and trajectory with compliance and geometric errors in robotic applications. A rigid–flexible coupling position error model of serial robot is presented to identify geometric and compliance error parameters simultaneously. On the basis of the error compensation model, the predicted position error can be corrected by the proposed hybrid error compensation method. Particular attention is paid to the deviation along the desired trajectory with respect to the corresponding updated trajectory, which is consecutively changing and cannot be corrected directly. A segmentation trajectory control method based on the Pareto-optimal with weighted-sum algorithm is proposed to solve the multi-objective optimisation problem in trajectory modification. The offline program optimiser integrates the proposed model-based compensation and trajectory modification method by MATLAB and VS software development platform. The method is developed to be an effective solution for the problem in absolute accuracies of positioning and trajectory with the experimental results achieved on a Staubli TX60L robot. Additional experiment is conducted with a Staubli RX160L robot to demonstrate the extensive feasibility and practical effectiveness of our approach for other industrial robots. This research is supported by National Natural Science Foundation of China (No. 51575236), and Postgraduate Research & Practice Innovation Program of Jiangsu Province (No. KYCX18_1840). Chen, X., Zhang, Q., & Sun, Y. (2017). Intelligent selection and optimization of measurement poses for a comprehensive error model identification of 6-DOF serial robot. In Proceedings of the 2016 23rd international conference on, mechatronics and machine vision in practice (M2VIP), Nanjing, China. http://ieeexplore.ieee.org/document/7827279/.